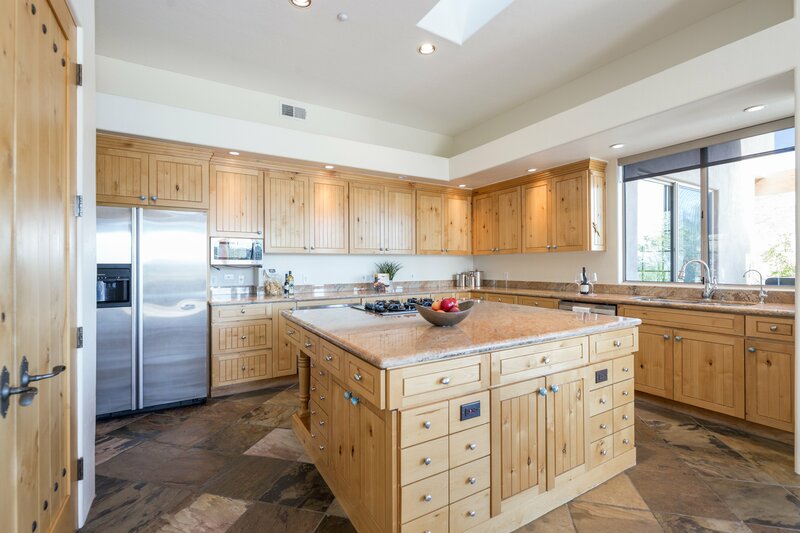 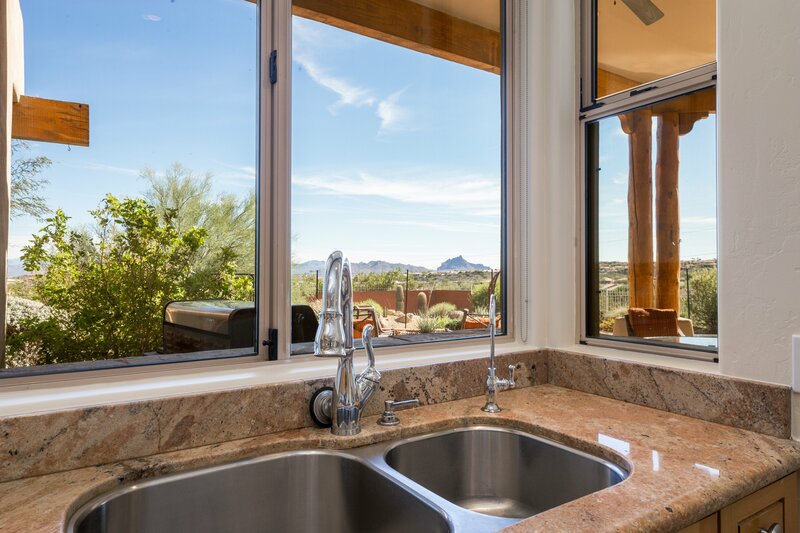 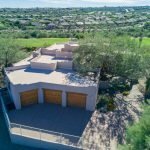 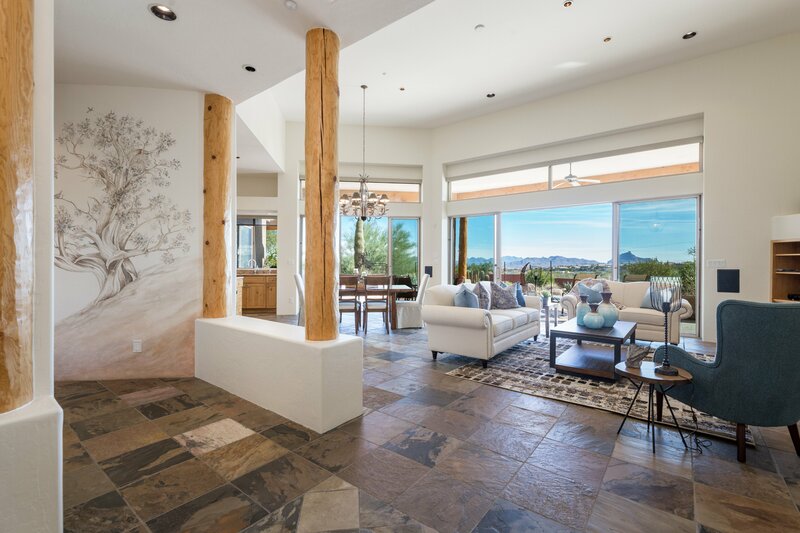 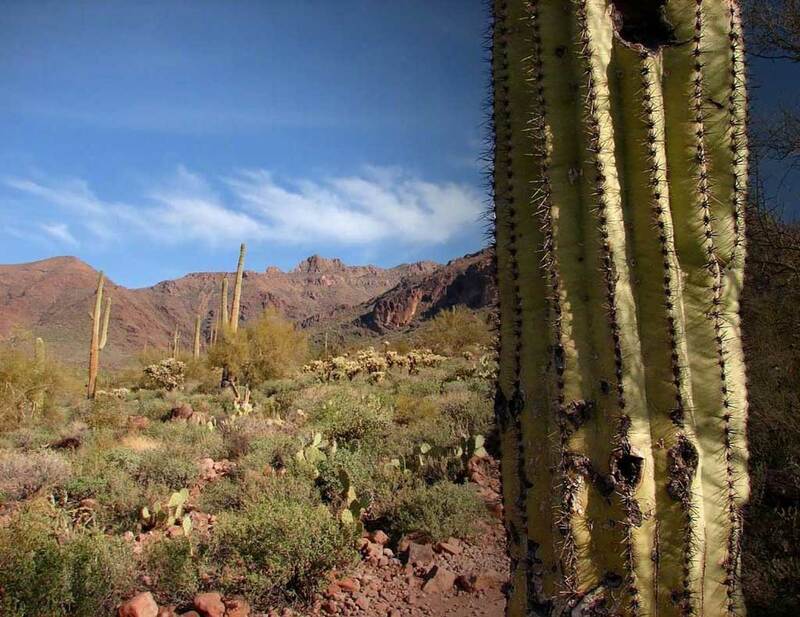 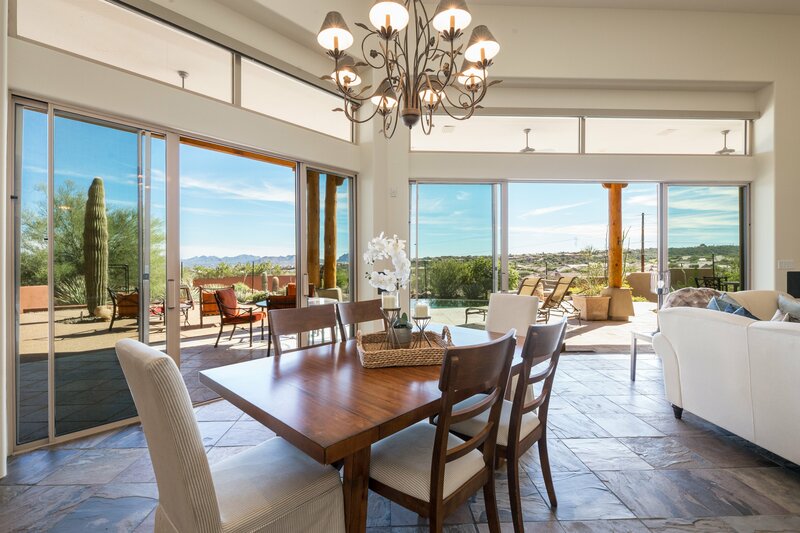 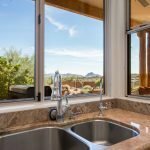 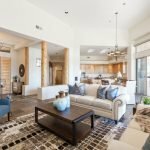 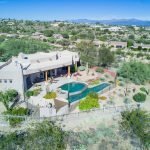 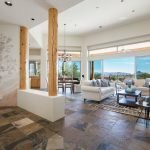 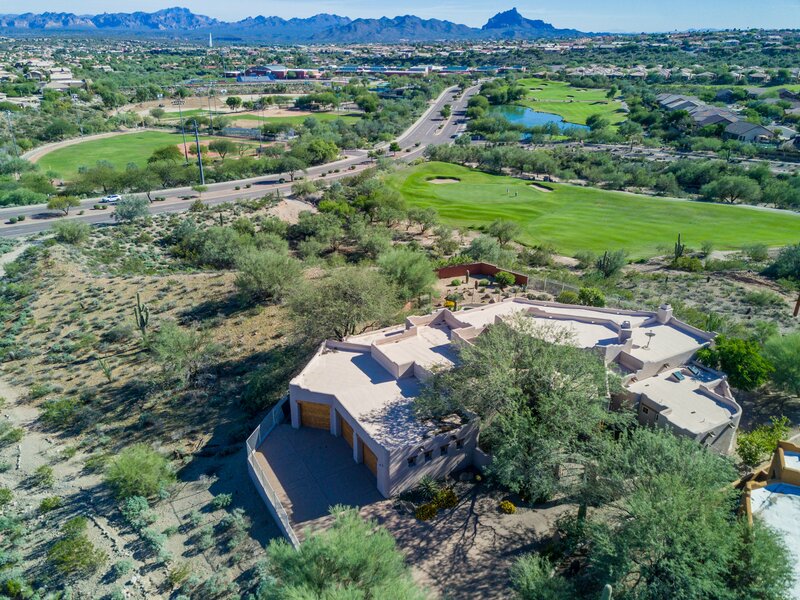 This beautiful Santa Fe style custom home sits on .46 acres with an impressive backdrop of the Mazatzals, Four Peaks, Red Rock and the Fountain. 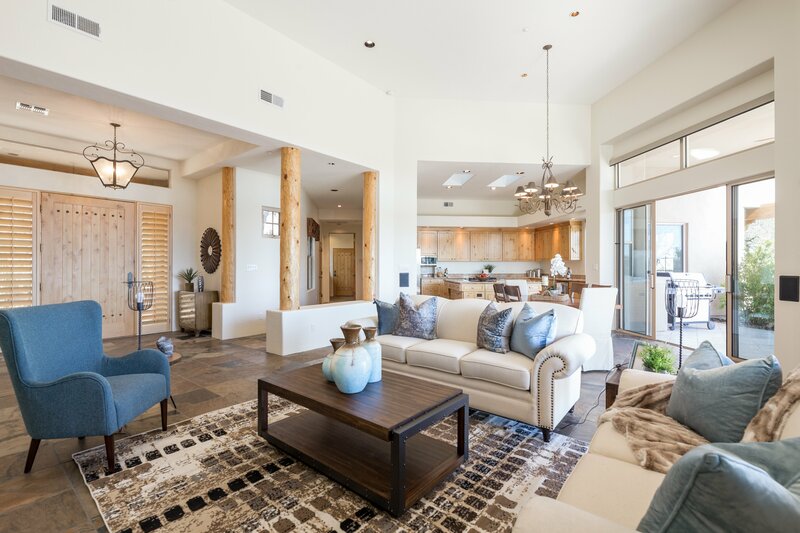 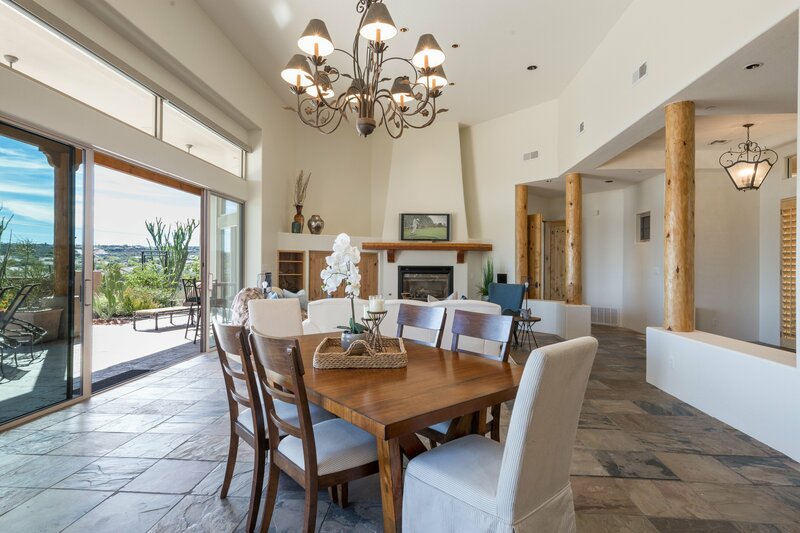 The great room has a casual elegance, wide open floor plan with soaring ceilings, large windows, slate floors, wood beams, gas fireplace, gourmet kitchen with island, stainless appliances, large pantry and lots of natural light. 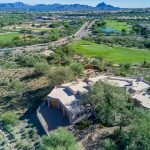 Split bedroom layout includes spacious master with fireplace, ensuite bath, large walk in closet, secondary bedroom with private patio, and 3rd bedroom which is used as den. 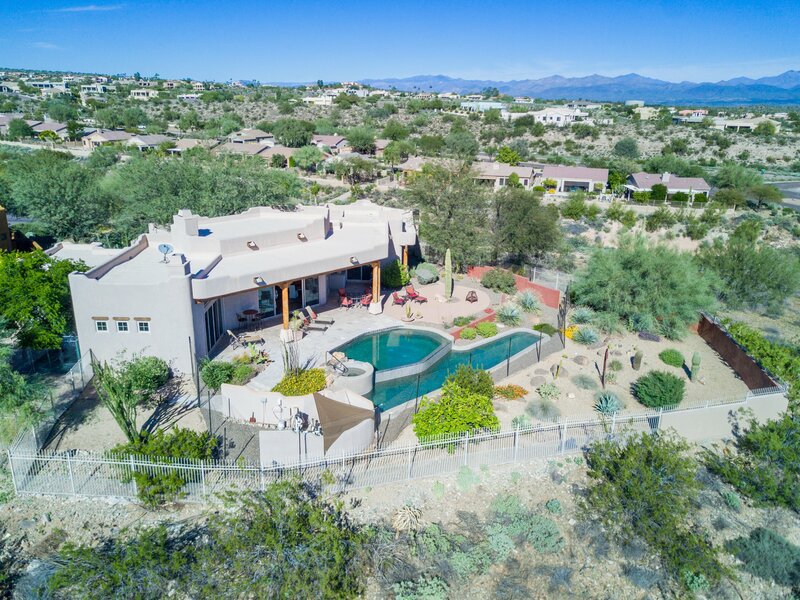 Enjoy the views from your large covered patio, steps away from the spa and inviting salt water negative edge pool that adjoins with a lap pool. 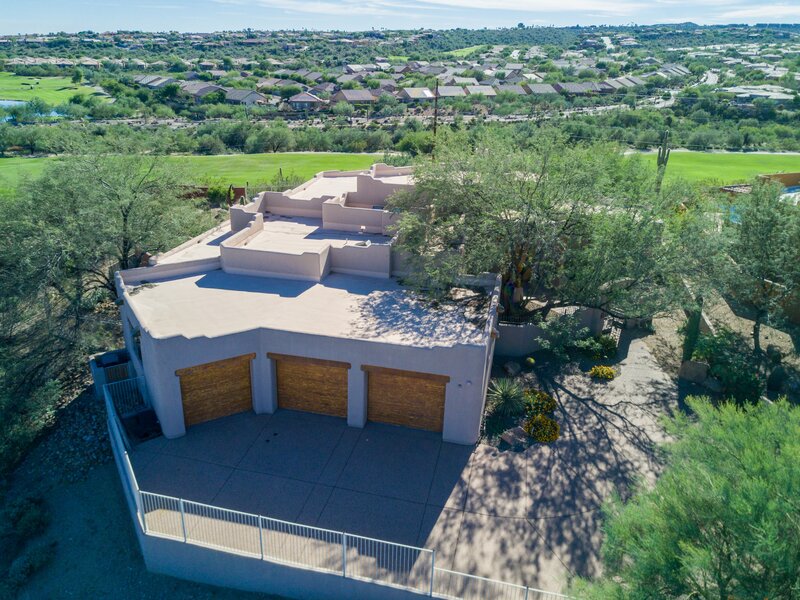 Nicely landscaped w/ grapefruit and lemon trees, plus as a bonus, the backyard is pet friendly w/extra fencing and separate enclosed area accessed from MB for safe late night outings for your pets. 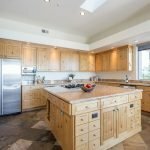 This home is very unique and has a lot of character.